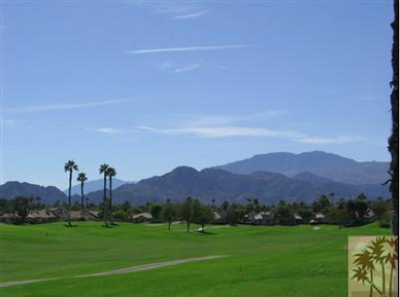 Desert Falls Country Club is a pleasant Golf Community with gorgeous scenery and weather year-round. It is the perfect place to look for luxurious Palm Desert Real Estate. Desert Falls Country Cub is by far one of the most popular and friendly gated communities in the desert. It is a community for everyone with a wide array of different property styles and sizes to choose from. There are nearly 1,100 homes ranging from villas to townhouses to single family homes to luxurious custom estate homes. The club was established in 1984 and is owned and operated by the nationally acclaimed company of Club Corp of America. The company wanted to make an impact right from the start with an entrance that features a beautiful waterfall cascading down to a rock pool. In conjunction with the waterfall is a palm lined inlet just off of Country Club Drive. One is sure to enjoy the manicured greens, tropical preserves and breathtaking shimmering lakes spread throughout. The heart of the community truly lies within the 35,000 square foot clubhouse and the Ronald Fream designed 7,070 yard, 18-hole championship golf course. It offers a number of one-of-a-kind elements including the par-3 14th hole and the tricky 9th. The par-3, 14th has an enormous 18,000 square foot green, which is one of the largest greens west of the Rocky Mountains. The 9th hole offers a tricky par 5 that reels golfers into going for the green in two just over the lake. The 18th shares a lake with the 9th and is a demanding par 4 at 437 yards and a great deal of sand and water that protects the green. Desert Falls Country Club has been honored and mentioned in countless magazines over the years. Golf Magazine proclaimed it to be “one of the most challenging and enjoyable courses in Southern California” in June 1994. Golf Digest’s Seventh Annual “Best Places to Play” gave the course four stars for outstanding course condition. If that were not enough, it earned a 145 slope rating from the back tees placing it among the five highest slopes rated in the Coachella Valley. It has been listed as one of the top ten courses by the SCPGA. There is a fully equipped fitness center with racquet ball open seven days a week. Tennis goes on day and night with nine night-lit, hard surfaced tennis courts. And with 32 sparkling pools and spas, you will never miss out on a relaxing day in the sun. Desert Falls Country Club offers a plethora of different amenities for members to take advantage of. And with a championship golf course and nearly 1,100 exquisite homes to boast about, this is an opportunity of a lifetime to live out your dreams. If you would like to see property at Desert Falls Country Club, please call us at the numbers below. Elaine Stewart is committed to helping you find the home of your dreams.